There is a gravitas in the second half of life, but it is now held up by a much deeper lightness, or “okayness.” Our mature years are characterized by a kind of bright sadness and a sober happiness, if that makes any sense. There is still darkness in the second half of life—in fact maybe even more. But there is now a changed capacity to hold it creatively and with less anxiety. 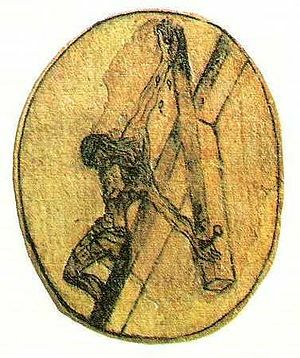 It is what John of the Cross called “luminous darkness,” and it explains the simultaneous coexistence of deep suffering and intense joy that we see in the saints, which is almost impossible for most of us to imagine. Life is much more spacious now, the boundaries of the container having been enlarged by the constant addition of new experiences and relationships. You are like an expandable suitcase, and you became so almost without your noticing. Now you are just here, and here holds more than enough. Such “hereness,” however, has its own heft, authority, and influence. You were within, but I was without. You were with me, but I was not with you. So you called, you shouted, you broke through my deafness, you flared, blazed, and banished my blindness, you lavished your fragrance, and I gasped. In my various writings and gleanings of spiritual materials I sometimes neglect the importance of having a reliable version of the Bible that I can read in my own language. The father of the English Bible is the Oxford scholar, John Wycliffe. His enemies called him “John Wicked-Believe,” and his church branded him a heretic and traitor. 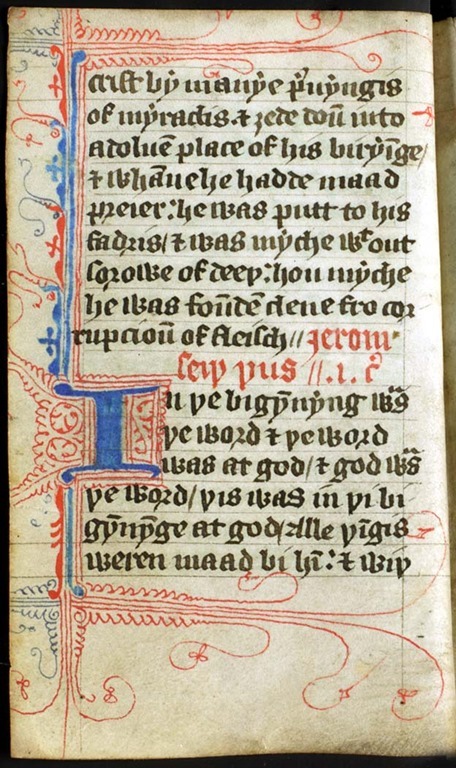 Wycliffe completed his translation directly from the Vulgate into English in the year 1382, now known as Wycliffe’s Bible. Below is the prologue of John from that Bible. 1 In the beginning was the word, and the word was at God, and God was the word. 2 This was in the beginning at God. 3 All things were made by him, and without him was made nought, that thing that was made. 4 In him was life, and the life was the light of men; 5 and the light shineth in darknesses, and darknesses comprehended not it. Prayer Thought: Lord we thank for those who sacrificed to bring your Word to us. Don’t you love to be around cheerful people? You know – the kind of person who walks into a room and fills it with a certain light of gladness. The kind of person whose bright disposition chases away the dreariness of the day and lends an infusion of happiness to the room. The kind of person that inevitably makes you stop what you are doing and smile. There is nothing artificial about this person. The pure joy of his soul just bubbles to the surface and infects everyone around him. Cheerfulness is a natural for him! A close friend was struck down over a year ago with a massive stroke that left him without speech or any movement on his right side. When he awoke form the coma, Luke made a decision, too. He chose to be cheerful. The contentment of his soul makes its way to his face. You can see it there in his radiant smile and bright eyes. If you visit Luke, he makes sure you feel better because you came. Cheerfulness is a state of mind and heart. It is the result of a mind of peace and heart of contentment. It has nothing to do with outward circumstances and is not contingent on any of life’s situations. 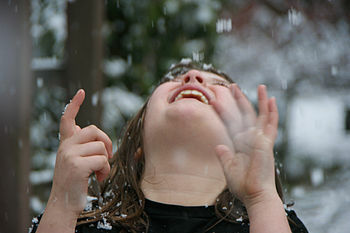 Cheerfulness is a willingness to choose joy. People who bring cheer into this world have chosen to look at the light, not at the darkness. Their lives are not free from trouble or pain, they have just decided that darkness will not overcome them. Make sure that seeing you makes the day brighter for others. Leave them better than you found them. Let your smiles be contagious and your happiness be genuine. KEEP YOUR FACE TO THE LIGHT! PRAYER: Father – Let me be a source of gladness and light to all around me. The prophet tells us : “And the crowds asked him, “What then should we do?” In reply he said to them, “Whoever has two coats must share with anyone who has none; and whoever has food must do likewise.” (Luke 3:10-11) The crowd was speaking to John the Baptist about how they would live the Missional life. They were confused and waiting for the Rabbis to tell them what to do. Perhaps Synagogue’s Missions Committee would set up a program so that they could “plug In”. Instead John said: JUST DO IT ! What should we do ? Do as the prophet said two thousand years ago. Share as you go, give your personal property away to those who are in need, live a life of simply caring about others. Caring becomes a way of life and the first thing you know it will be better to give than to receive. Give something of your own to a person in need. 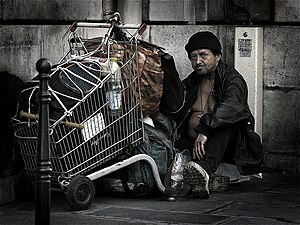 Give food or help to a homeless person (it doesn’t matter WHY they are homeless). Give a smile or a kind word to a stranger. Pick up some trash in your neighborhood–just because. Volunteer at a park,zoo or hospital. These are just a few ways that you can just do something Missional this week. The message -DON’T WAIT- just do it ! This stanza of John’s Canticle begins to tell us of the sheer beauty of the presence of God. Despite the fact that the seeker misses the grace that God so freely bestows, it is still there. The seeker is reminded of the ease of God’s creation and the testimony it leaves to everyone. In His haste, He gives a thousand graces. The beauty of the grove is a living testimony to Him. Through His image alone, He clothes them with beauty. This beauty is beyond anything man can muster. The creation cries out the magnificence and power of the Creator. The seeker, like us, needs to take heed of what is given. When we feel the sense of abandonment as John of the Cross felt, we can look at the Word. In Romans we are told, “Ever since the creation of the world his eternal power and divine nature, invisible though they are, have been understood and seen through the things he has made.” Sometimes we do not see “the beloved” because we do not look. Nature finds Him when we are blind. with anyone who has none; and whoever has food must do likewise.” (Luke 3:10-11) The crowd was speaking to John the Baptist about how they would live the Missional life. They were confused and waiting for the Rabbis to tell them what to do. Perhaps Synagogue’s Missions Committee would set up a program so that they could “plug in”. Instead John said: JUST DO IT! What should we do? Do as the prophet said two thousand years ago. Share as you go, give your personal property away to those who are in need, live a life of simply caring about others. Caring becomes a way of life and the first thing you know it will be better to give than to receive. Volunteer at a park, zoo or hospital. These are just a few ways that you can just do something Missional as you journey. The message -DON’T WAIT- just do it! At this point John determines that in spite of the darkness he feels, he will continue his search. Not a person among us has not felt a sense of spiritual abandonment from time to time. We all have those times when we lose our way and feel all alone – cut off from God. Quickly we discover that others – intercessors – are not enough to find Him. We must seek, seek restlessly and fervently, for that precious relationship that we have lost. We climb the mountain of virtue to get a closer look at His nature. Like John, we have no time to waste gathering the gratifications of life, and no fear of the evil one that can deter us from our task. In our quest for God we must go beyond our strength and vision and seek to see life though His eyes. Then, and only then, will we find that which we seek. In this second stanza of the Canticle, the soul cries out for intercessors who have not lost their way-people, angelic beings who can touch the garment of God. Is it so strange to feel this type of distance from God? Have you ever felt this way? When we are in our darkest times, we need others to speak to God for us; others who care for us, and seek the best for us. We need intercessors who are living in union with God and feel his presence John expresses his separation from God, and his utter inability to rediscover Him. Perhaps, with just a little help from others we can find God. We can learn from John to lean on others as we travel through our darkness. Perhaps it is with their light that we can find the God we have lost. What do you turn to in your times of darkness? Who are some guides for your life? Do you seek intercessors when in darkness? 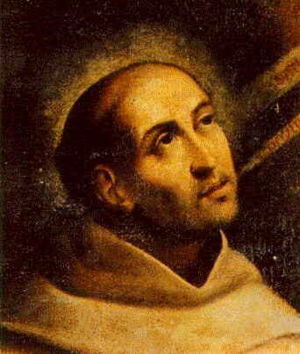 John of the cross is the medieval mystic who gave us “Dark Night of the Soul.” In his work he challenges us to the work of being a Christian, and the strength that comes for the journey. He tells us that the strength comes from complete union with God. This union has a price, and it is separation from the world. In that dark night of separation John finds the peace of God.